If you were to look up the definition of what it means to have the heart of a Canuck, it would be a pretty long description of numerous virtues embodied by players of the Vancouver Canucks past or present that outside of their fan base, are not always seen by those on the outside. A small sample of those descriptors: Determination. Sacrifice. Motivation. Driven. Perseverance. Leadership. Dedication. Mentor. And the list goes on, but these are indicative of not just how the player is on the ice but also off of the ice within the community. Some players exhibit one or many of these qualities throughout their time with the team and beyond. And then there are some that embody everything that having a heart of a Canuck means from the moment they join the team to the time when they retire or are traded to join another team. Players that have embodied this quality over time include: Orland Kurtenbach, Pat Quinn, Trevor Linden, Markus Naslund and yes the Sedins. One that to the outsiders was always and still at times seen as pest to his opponents but to Canucks fans will always be on that list is: Alex Burrows. Alex Burrows was an absolute class act in his time here. From the outside, that side of Burrows was not always seen. His name was synonymous with pestering his opponents. In Vancouver he is synonymous with constantly proving his critics wrong, playing any spot in the lineup that coach put him, breaking streaks, becoming the third Sedin, slaying dragons, and helping to end the stigmas surrounding mental health. He gave his all for his teammates, every single game, every single shift and off of the ice as well. He gave everything to this city. 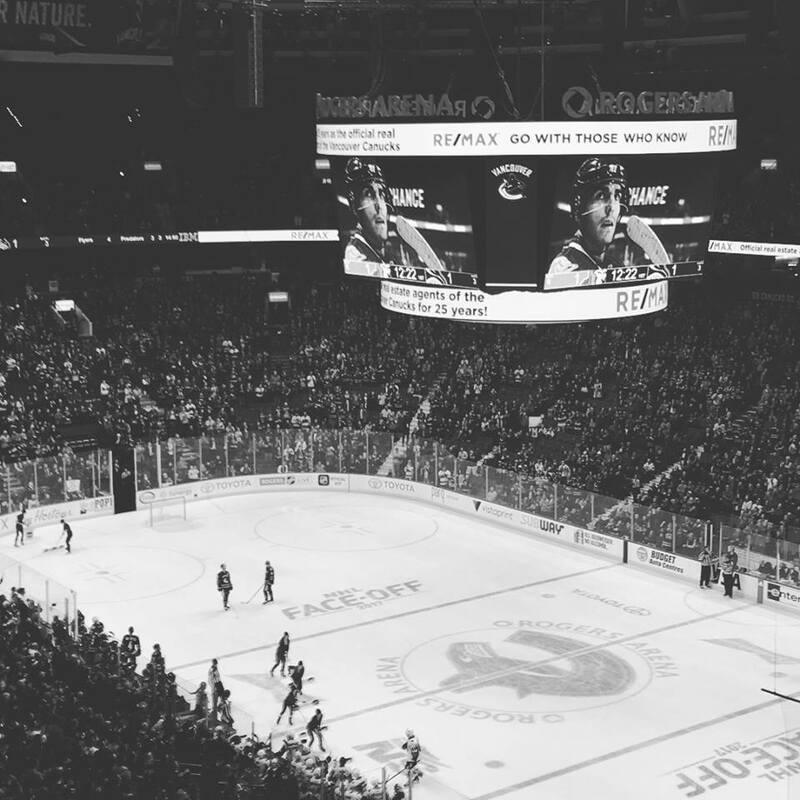 This past week when Alex Burrows returned, Vancouver had a chance to express our thanks to a player who always has and always will embody what it means to have a heart of a Canuck. He’s with the Senators now, but even in his leaving, he made sure that Vancouver also benefited from the trade. His last act was one in which once again he put his team first, as he always has done from day one. From undrafted to becoming the heart of a team and turning an entire city into believing that dragons were meant to be slayed. Burrows was not the first player to have these qualities and as he grew into the inspiration that he has become, he had some incredible mentors in the Sedins and Trevor Linden. He also over time became a mentor to the younger players coming into the Canucks system and paved the road for what it means to be a professional on and off of the ice. This year the Canucks have some veterans and some great young players on the team. Some of those players spent a lot of time mentoring Burrows, being mentored by him, learning from him and some never played one game with him, but they all know of him or have heard his story from him or his former teammates. His story is one that anyone can relate to, undrafted, too old, never meant to make it or have any sort of longevity and yet here we are more than 12 years later talking about his continuous legacy. 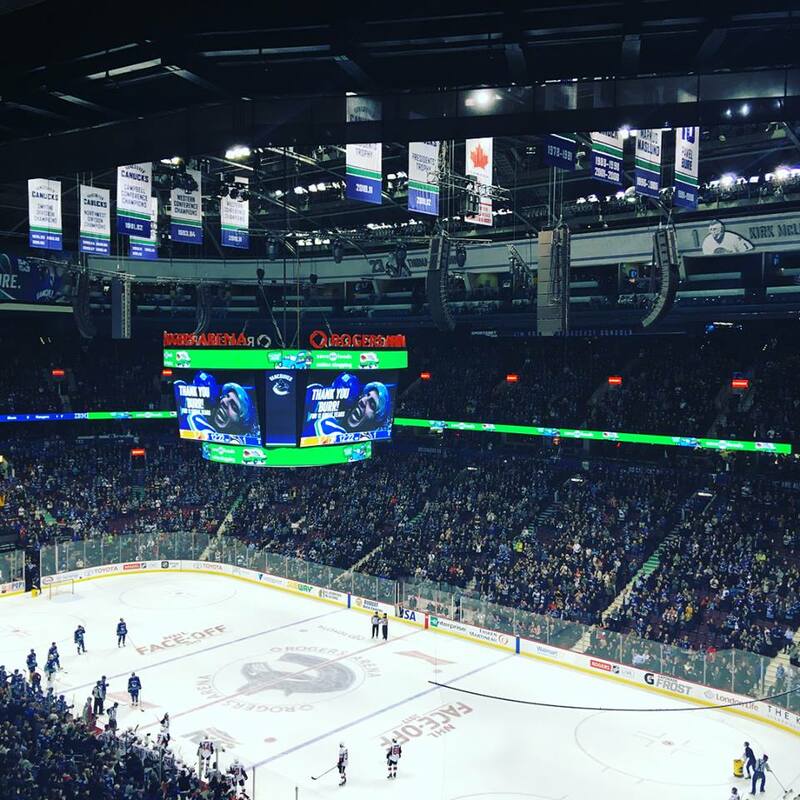 Players like Bo Horvat, Jake Virtanen, Sven Baertschi, Brock Boeser can all look to the example of Alex Burrows if they ever need inspiration of what it looks like to give your everything to the sport, their team and the city. They can look back at Burrows, and up to players like the Sedins to know that while it’s not an easy road, if they commit to it, they will inspire more people than they could possibly imagine possible. To have a heart of Canuck, it’s not always an easy path, but it is one that will always inspire others. And if you see this Burr, this is just a reminder that to Canucks nation, you will ALWAYS be a Canuck. Thank-you endlessly for everything you did during your time here and still continue to do as you keep playing. Today, I am taking a break from True Blue, for a mental health day. Not a day for myself, but a day to remember a life taken way too soon and to ignite the discussion about the importance of mental health. The world needs to come together to erase the stigma surrounding mental health and raise awareness instead. Rick Rypien fought his demons on & off the ice. Sadly he lost his battle BUT through his life, an awareness for mental health has begun through Mind Check. “Keep your gloves on kid, you don’t have to fight anymore.” When news broke about the death of Rick Rypien, Canucks fans were shaken to the core. Three years have gone by since we lost Rick Rypien and some days, it still feels like yesterday. Rick Rypien encompassed what it meant to have the heart and soul of a Canuck every single time he was on the ice and off the ice when he gave his time to the teams charities. His heart for the game and life was so big, and the hole left by his absence will forever be felt. Sometimes those who shine the brightest, with the biggest hearts are overwhelmed by the darkness. PLEASE, if anyone you know is suffering or you feel like the darkness is too much…PLEASE know that YOUR LIFE MATTERS, and there are more people than you know who care about you. Asking for help might be the hardest thing you do but may also be the best, and remember, YOU ARE STRONGER than you even know. The truth is, that there are no limits on who can be and who is affected by mental illness every day. It is not our place to judge or shame anyone who suffers from mental illness. Why do we even feel compelled to make judgements of any kind? Every single person is susceptible to the possibility of suffering some type of mental illness. I read an article the other day that poignantly reminded all, that the BRAIN is an ORGAN just as our hearts, lungs and livers are organs and our brains are in need of just as much care to lead a healthy life. Mental health is just as important as our physical health. Today, I take the pledge once more. I know that is NOT a choice. It’s NOT a weakness, self-inflicted or a result of not trying. Sometimes you can’t just get over it, it won’t just go away. Pretending it isn’t happening doesn’t help. Talking about it does. Getting support early can make the difference. Helping someone you care about is NOT a burden. I pledge to learn the signs. I will not judge. I will have compassion. I will reach out, listen, talk, help and find help. My name is Sarah Laug. I will NOT stay silent. 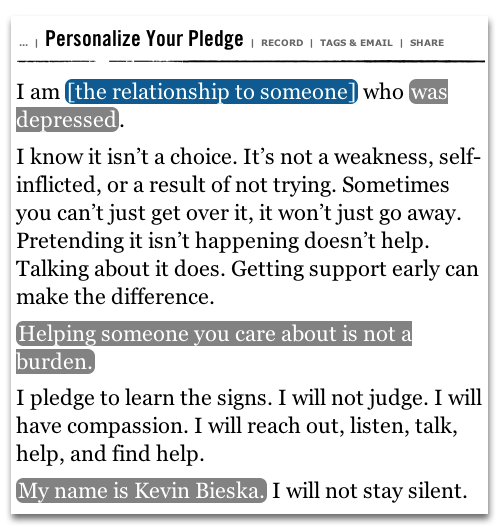 Will you also take the pledge? If any of you suffer from depression, or mental illness of any kind, please remember that you are NOT alone. You may not know it yet, but there are more people than you even know who care about you and you are stronger than you think. Asking for help IS a strength, not a weakness. It may be the hardest thing for you to do, but it could also be the best thing that you do for yourself. YOUR LIFE MATTERS. If you ever need someone to talk to, please know that there is always someone willing to listen, including THIS kid. Talking about it helps and while I don’t promise to have all the answers, I do promise that I will listen without judgement. Rick Rypien left us far too soon, but he left us some words of wisdom: “Believe in yourself. It doesn’t matter what anyone else thinks. You just have to believe in yourself and if you want it bad enough, YOU CAN DO IT.” We still miss you Ryp, thank-you for sharing your heart with the world. Thank-you Kevin Bieksa, the Vancouver Canucks and everyone at Mind Check for helping to raise awareness about the importance of mental health.